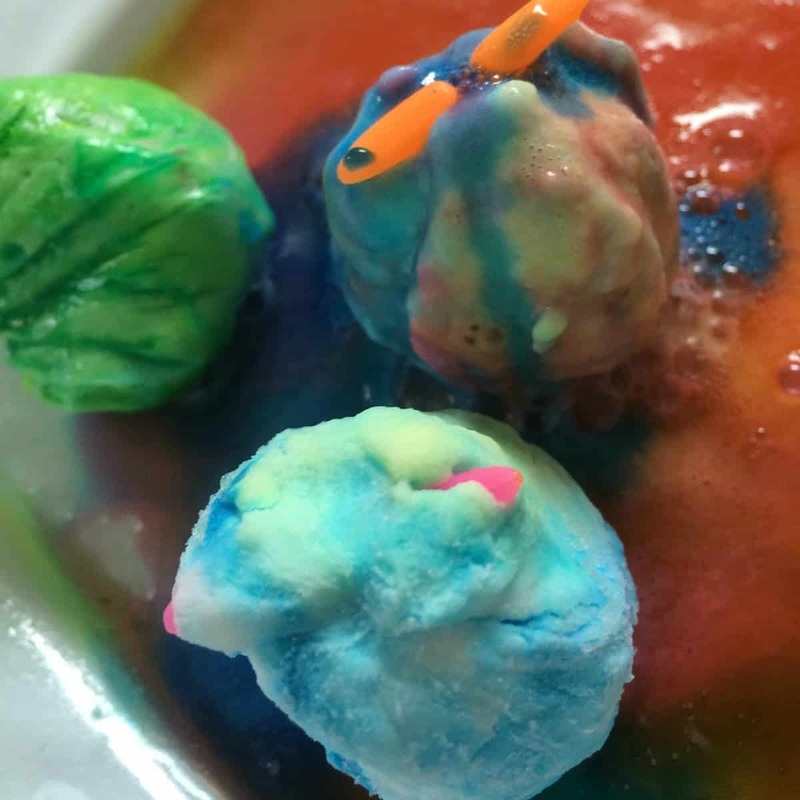 Remember that baking soda and vinegar volcano you made as a science project in elementary school? What kid doesn’t love the fizzy reaction you get when you mix the two together?! We do so many baking soda and vinegar projects around here. It’s one of my favorite ‘witching hour’ activities…I’ve gotten through so many dinner preps by plopping a bowl of baking soda and some vinegar in a cup down on the kitchen table. It has also helped me through many sleep deprived days in a way that caffeine never has. 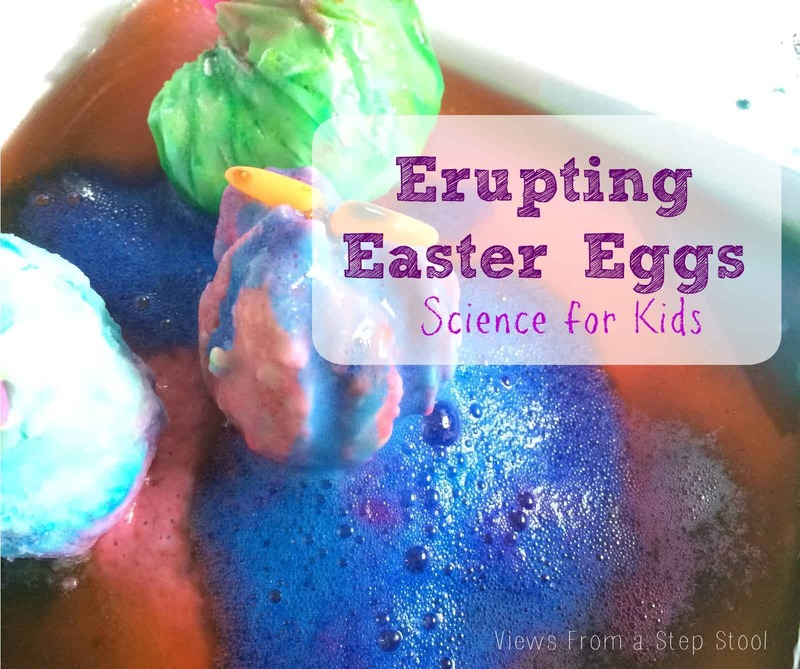 We put a spin on this favorite by making erupting Easter eggs! 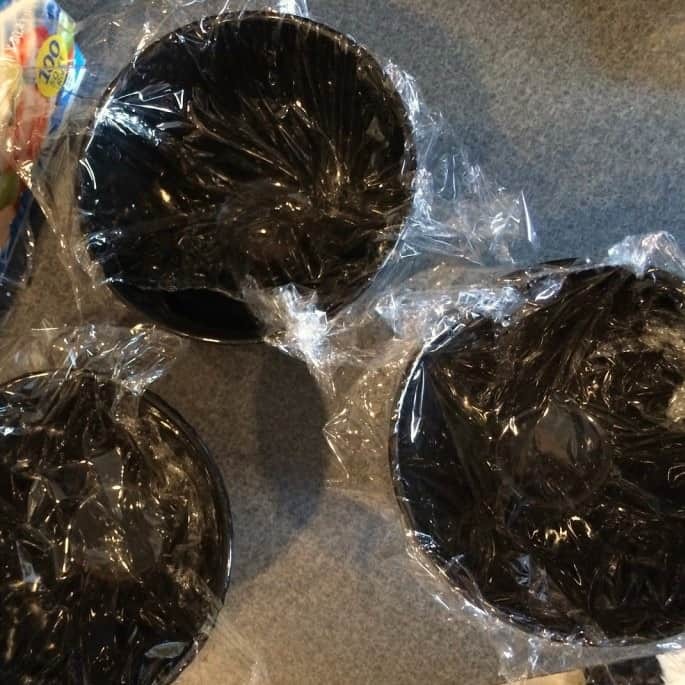 Line bowls (however many eggs you want to make) with plastic wrap. 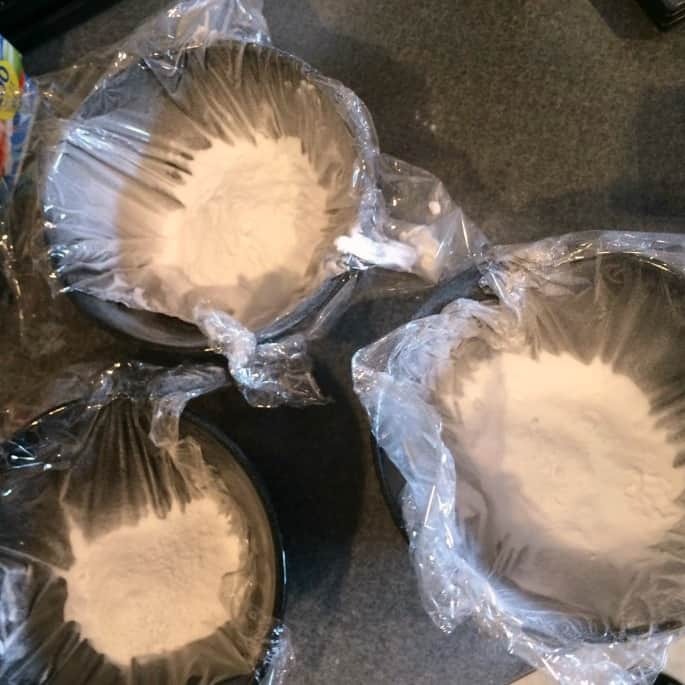 Then, pour in some baking soda (a little for small eggs and a lot for bigger eggs), I used about 1/2 cup in each bowl. Continue adding water until you get a crumbly consistency. If it is too watery just add a bit more baking soda. 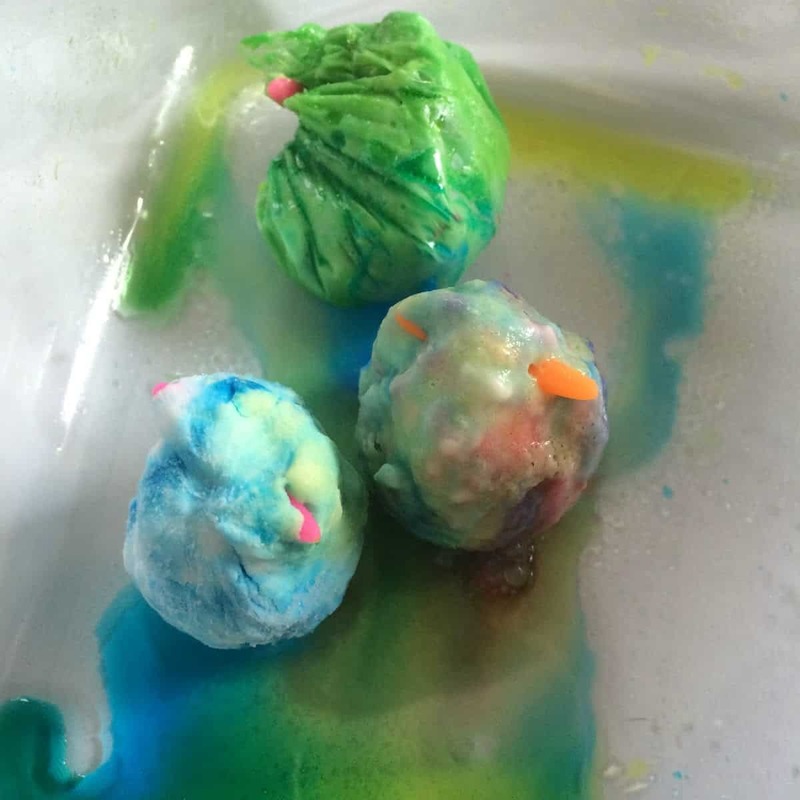 If you choose to make colored eggs, add a few drops of food coloring or liquid watercolor in with the water. 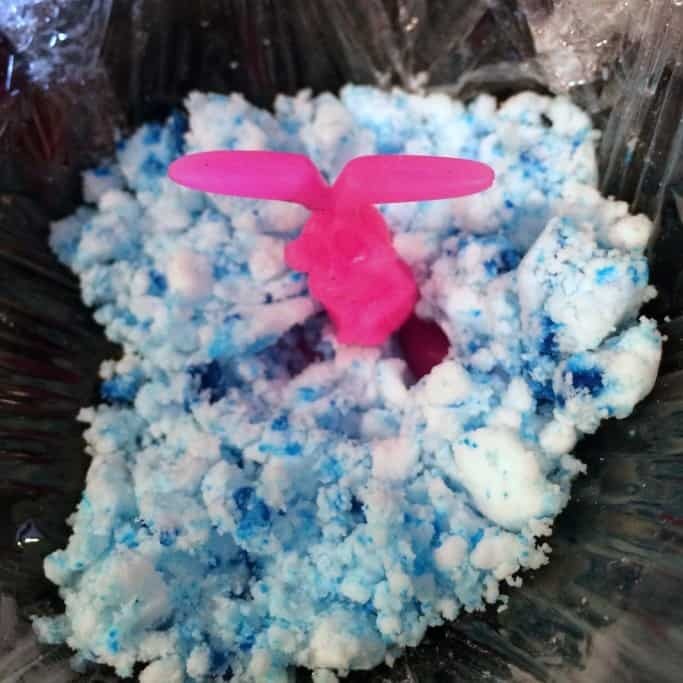 Once it is mixed up and you have a crumbly texture, add a treasure to the middle (we used plastic bunnies) and wrap the plastic wrap up and form it into an egg shape! Give the top of the plastic wrap a little twist and you are done! Put your eggs into the freezer for a few hours so that they harden and keep their shape. 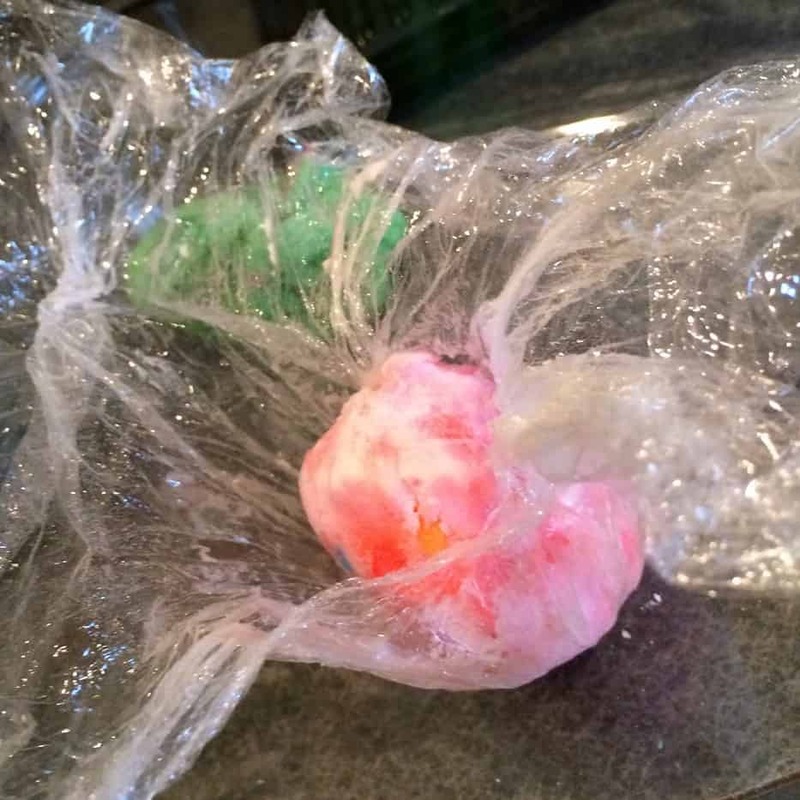 Once you have taken the eggs out of the freezer the plastic wrap should come right off. 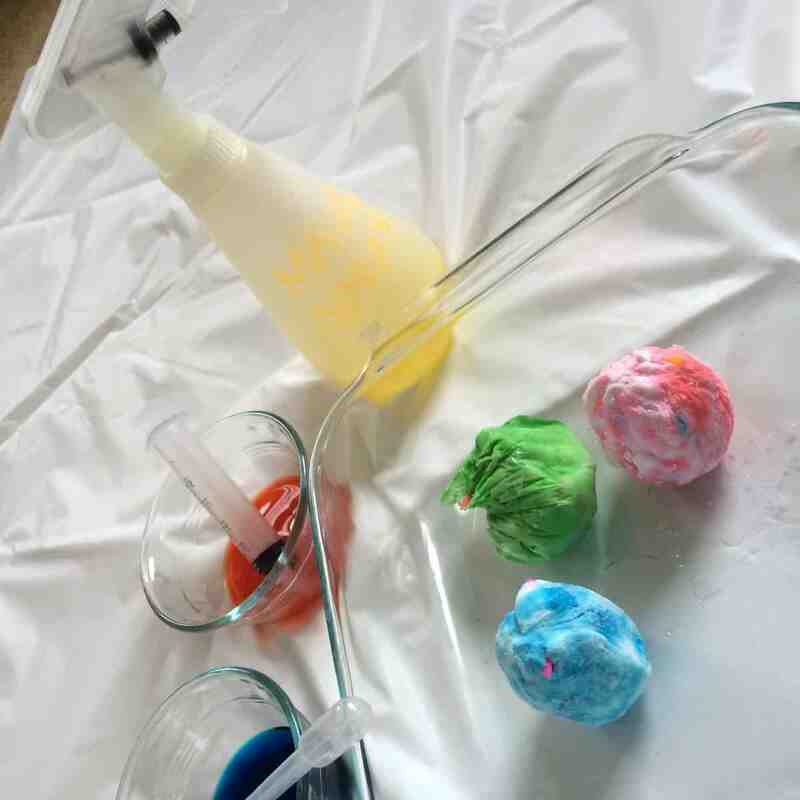 When doing a project involving vinegar and baking soda I love to find different droppers or spray bottles as instruments. My kids’ love to use old medicine syringes. Place the eggs in a container big enough to hold all of the vinegar you plan on using. I like to use a glass square or rectangle baking dish. The clarity of it helps to really see all of the beautiful colors and it contains the vinegar nicely. Place some vinegar in a few bowls and invite your child to come explore! I also chose to use a spray bottle for this project along with the dropper and syringe. I actually purchased the droppers (pipettes) on Amazon. They are great for working on fine motor skills and are very easy for kids to use. As you can see the vinegar has been colored as well. I like to use primary colors for something like this because the kids are fascinated with color mixing. 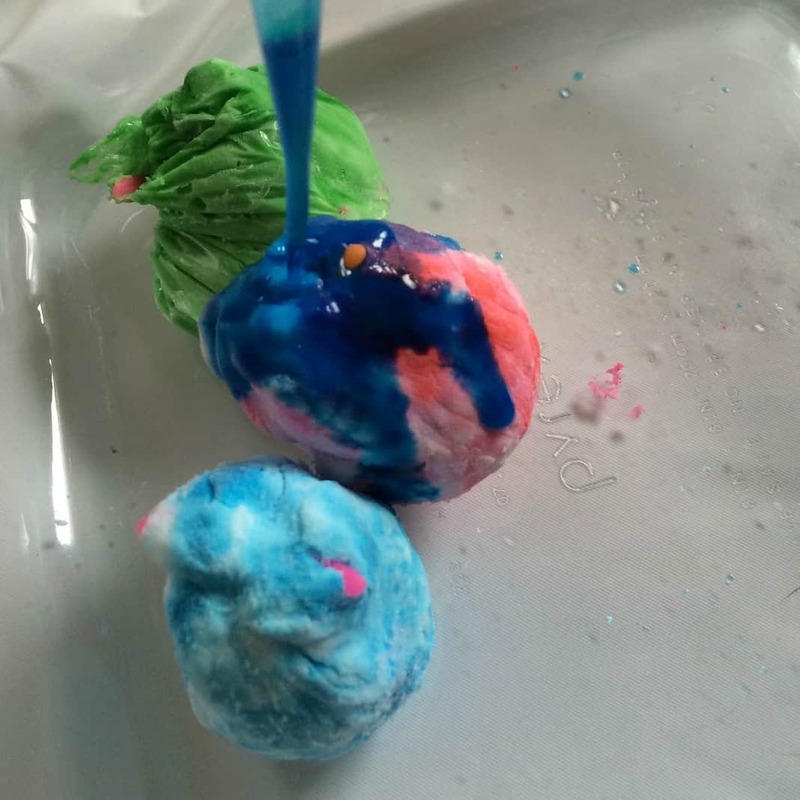 Once you start putting the vinegar on the egg you will get that fizzy and fun reaction! The more vinegar you put on the eggs the smaller they will become and soon the treasure hidden inside will become visible. How beautiful is that!? 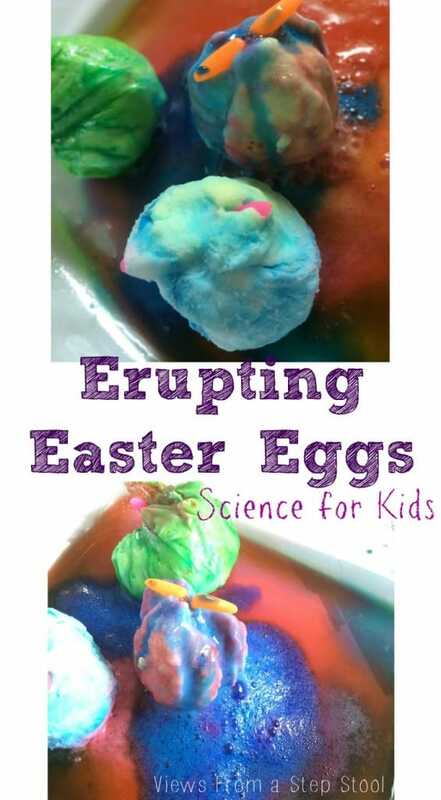 I hope you get a chance to make your own erupting Easter eggs! The eggs erupt AND have a surprise inside? Our kids would love this! Pinned. These seem awesome! 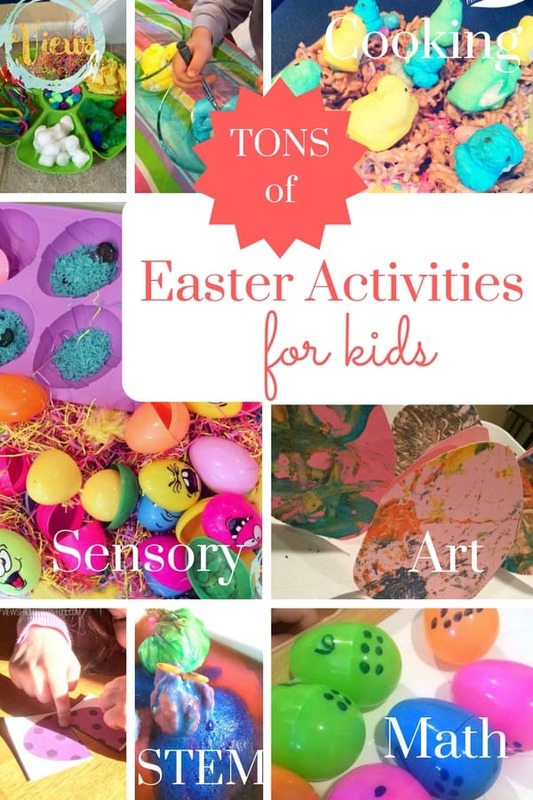 My little one would love doing this as part of our sensory bin one week! This is so fun!!! What a great idea! Pinning for sure! Is it bad that I want to do this without my kids? Ha! 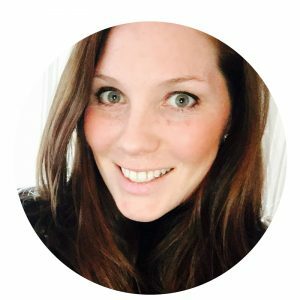 Sometimes I get more excited than my kids about these things! Thank you for reading!! It won’t be long until you will be doing these things! J is going to LOVE these!! 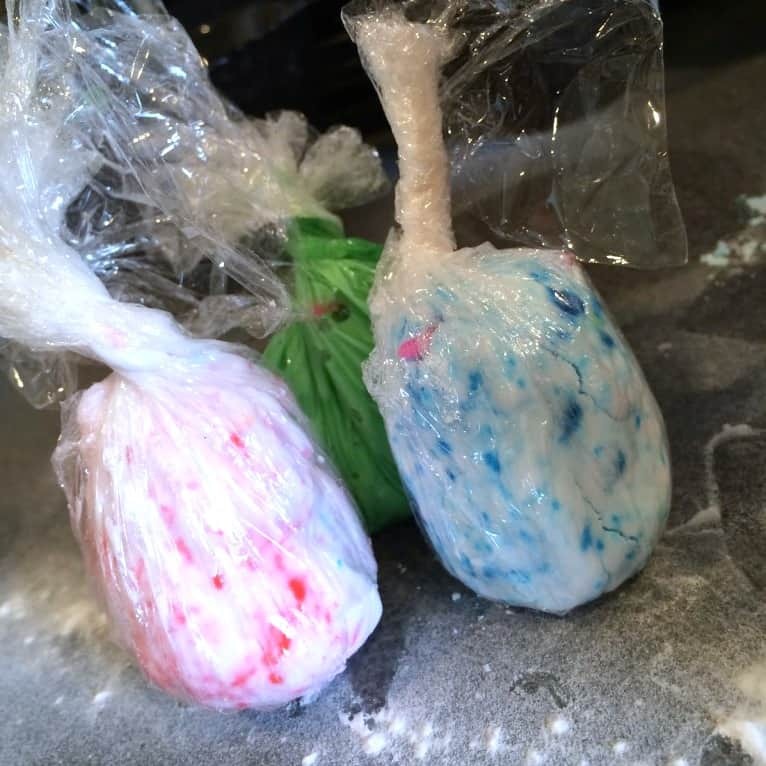 I can’t wait to make them this weekend! This is awesome! My boys would love this!!! Pinning! This is awesome! I definitely need to do this with my daughter, she is going to love it.